Disclaimer: This is a sponsored post. However, all thoughts and opinions are my own. Also, I am NOT pregnant!! While looking back though old photos I realized that Dave and I were not very creative in our announcement. I posted a sonogram. That’s it. Nothing super exciting, but it did serve it’s purpose! It got me thinking, how did all my friends announce? So, I asked them!! 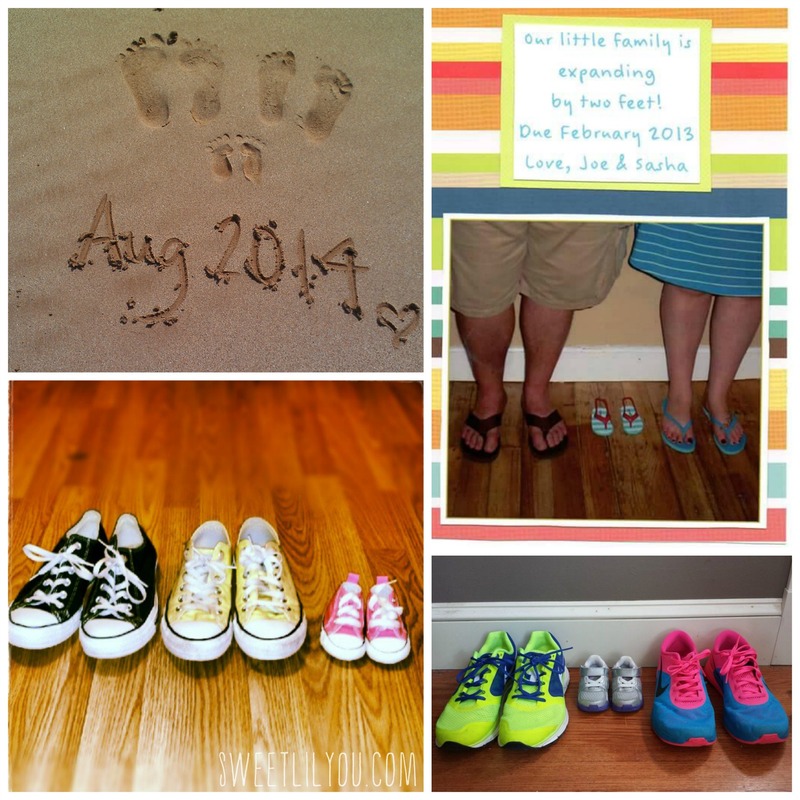 A few friends shared their big news with adorable photos of footprints, and shoes! 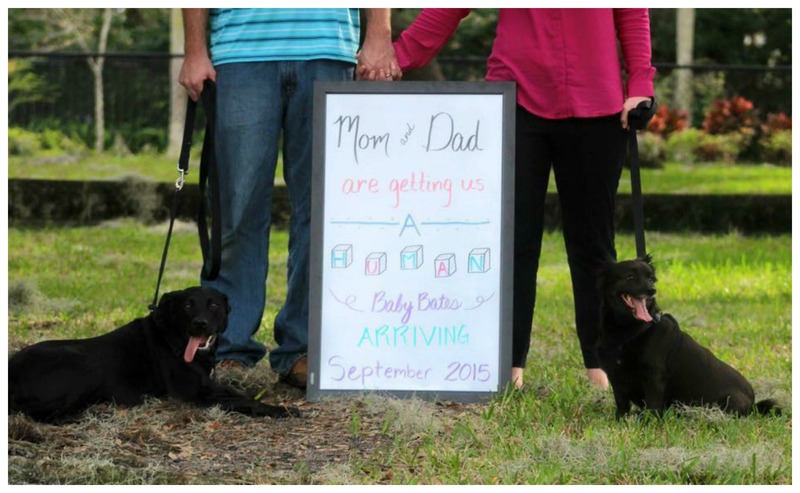 This announcement is classic, and always cute! Many others shared their news by getting the siblings involved! Clockwise from top left: Tana M., Heather G. , Kasey H., Christina B.
L to R: Tana M., Sarah S.
L to R: Stephanie T., Christina H.
And some even got their pets to make the announcement! 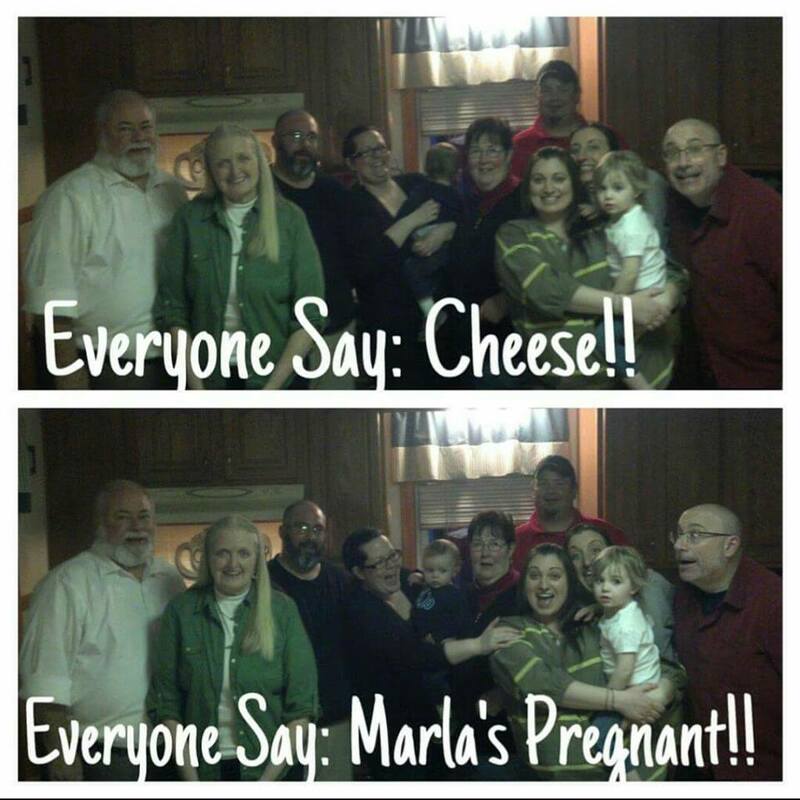 Another friend had a fun and creative way to announce her pregnancy to her family. The reactions are priceless! Click on this cute infographic to see more fun ideas from natera and Panorama! 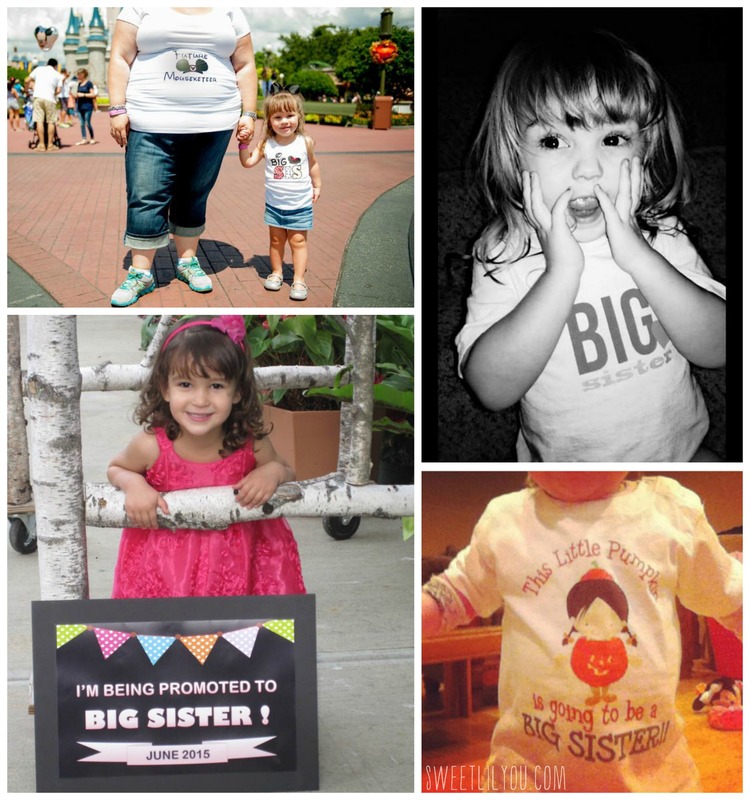 Of course, the announcement isn’t the most important part of your pregnancy, the health of mommy and baby is! That is why some mommas opt to have prenatal screening. 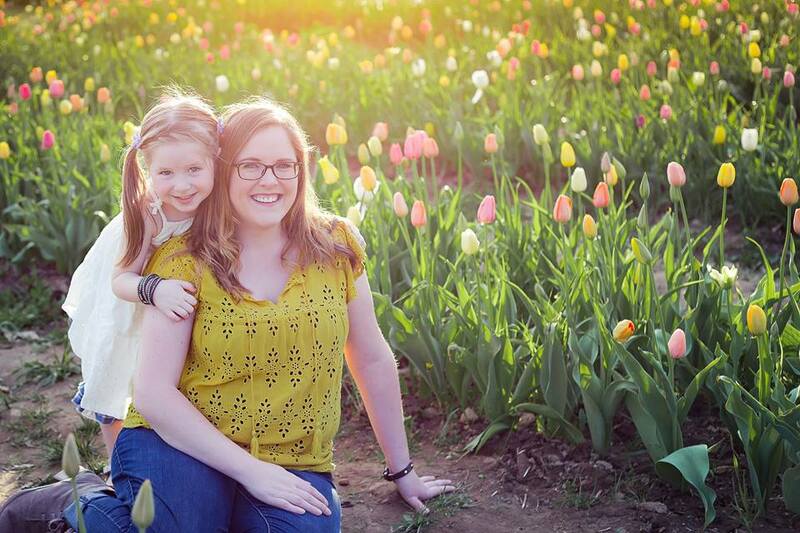 Prenatal screening is a personal choice, of course, but for me it was something I absolutely wanted to have done. I wanted to make sure that if there were any issues with Avery, that we would be able to prepare, and give her the best possible care. I had some risk factors, so I had genetic testing done and found that I was a carrier of the Cystic Fibrosis gene. We had Dave tested as well, and fortunately, his results were negative. I also had some tests done to asses any risk of Chromosomal Abnormalities. We had a bit of a scare when a cyst was discovered on Avery’s brain, but that resolved itself, and there were no other risk factors found. It was important to me to have all the knowledge I could have, but it was also important that the tests to get those answers, were safe. 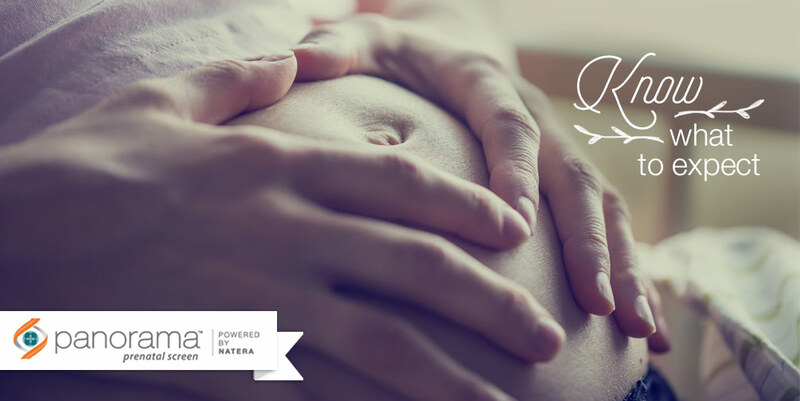 Panorama is a DNA screening test that can tell parents important information about their pregnancy. They can find out if baby is at risk for having Down syndrome or other chromosomal abnormalities. Panorama can also tell parents the gender of their baby. Panorama is highly accurate and has the lowest false positive rate of any prenatal screening test for the commonly screened chromosomal abnormalities, trisomies 21, 18 and 13. The Panorama screening test is a non-invasive prenatal test (NIPT). This means that the Panorama test is safe for you and your baby. To have the test done, your doctor just draws a sample of blood from your arm. Fathers have the option of sending in a cheek swab sample with your blood. Including the father’s sample may improve the chance of obtaining results of the test in certain circumstances, but does not impact accuracy. It’s very common for women to have concerns about the health of their baby. If you have concerns, you should talk with your healthcare professional. He or she will advise you as to what tests you might want to have to help give you peace of mind. 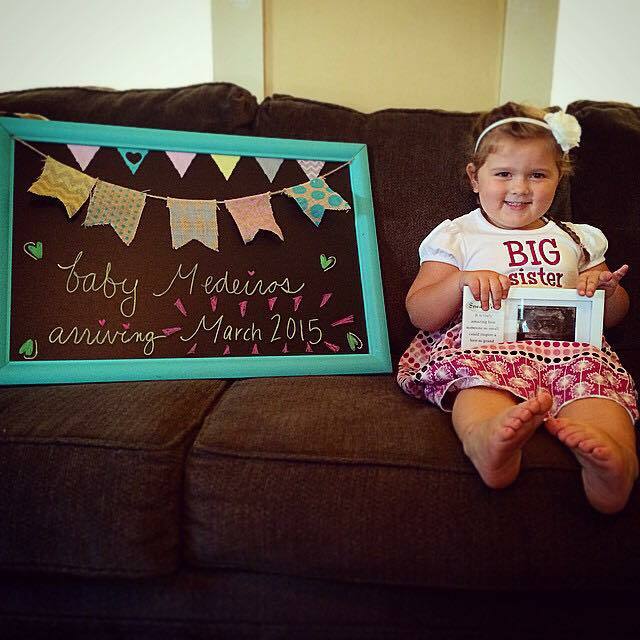 How did YOU announce your pregnancy, or baby’s gender? Did you do something simple like we did, or a BIG reveal? Thank you so much to all my friends who shared their photos!! 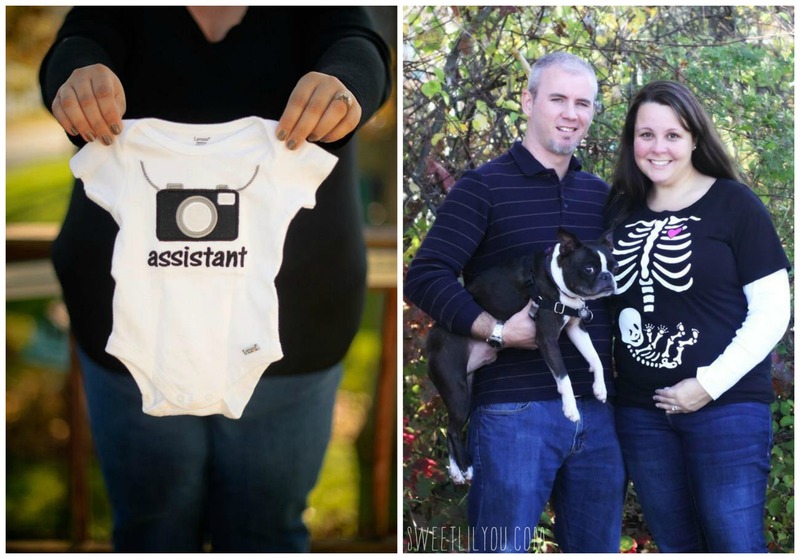 This entry was posted in Pregnancy, Uncategorized and tagged pregnancy, prenatal testing, reveal. Hi Jaz, I don’t actually make these for other people. 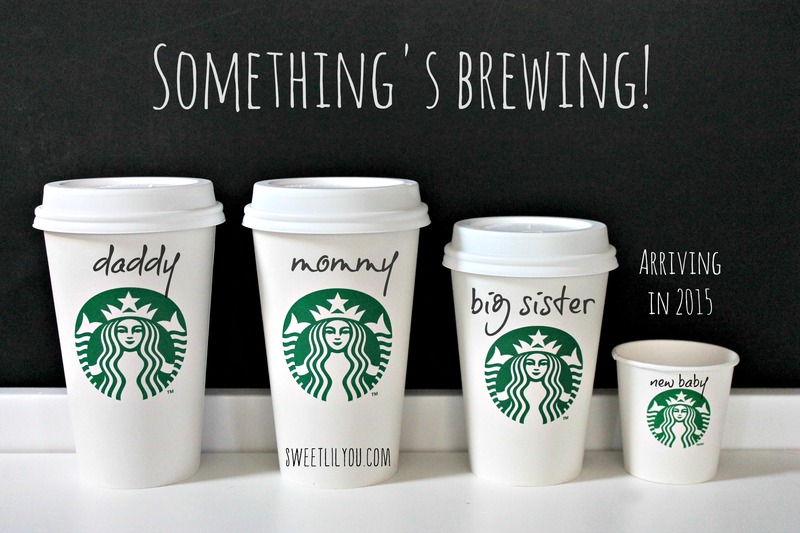 But, you can go to Starbucks and get the cups, and easily create it yourself! Congrats !